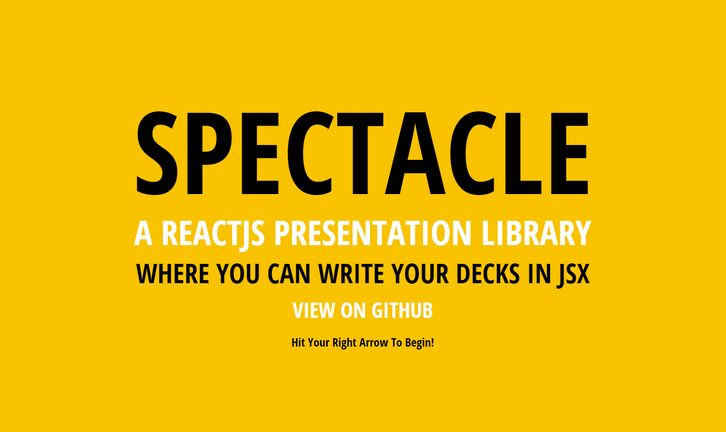 Spectacle is a React-powered presentation library. With Spectacle you can write slides with JSX. It supports tags like <Deck>, <Slide>, and there are even layout tags for making text appear in the right place without too much fiddling about with CSS. It even supports a presenter view, so you can see the next side and the current time. If you’re currently addicted to React then this will probably be preferable to messing around in Keynote/PowerPoint/etc.